Our house roof is of tile construction, with a 45 degree pitch and one side is almost purely south-facing. That side measures 8.5m wide by 5.5m (running up the pitch), so in theory should be ideal for a considerable installation. There is heaps of useful info in this very long thread on MoneySavingExpert.com: My solar PV first year payback calculation. 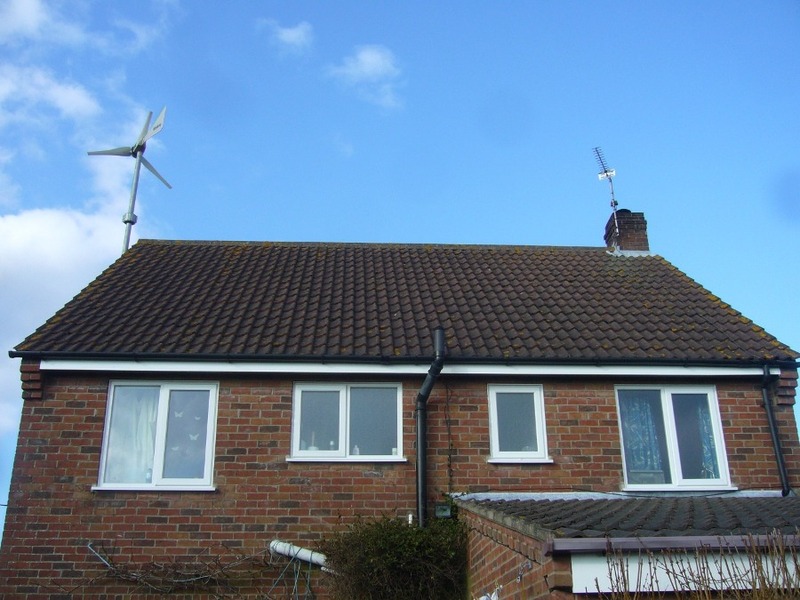 I have telephoned the Low Carbon Buildings Programme (0800 915 0990) this morning and they confirmed that the grants (Max �2,500) will continue until April 2011 at least. This applies to all the UK. From other things I've read, The Tories are even more commited to FITs in principle than Labour, and the suggested rates (39-44p) are inline with most of Europe (so unlikely to plummet). Posts 1, 39, 104 and & are all real life examples. To benefit from selling to the grid (at 9-15p/unit), we would need an export/import meter, too. We might be able to save a fair bit on our leccy bill, especially if we use the immersion heater - might be as high as �150 but that's speculation. There's also an export rate (ie, stuff we sell to grid) of �0.09p/unit, which would be �100/year assuming we export 60% of the capacity. Total yearly savings of �980 puts break-even at 14yrs, quite a long payback time. Especially when we don't have much confidence in these FiTs being around in the far future. We are looking at installing a solar PV array, of the scale given in your case study. We have a 'perfect' roof - modern construction, no dormer windows, south-facing - and with a windsave 1kW wind turbine on one end. There is a clear run down the side of the house to the meter and a location inside for any hardware. We would obviously need an installation that is eligible for the Feed-in-Tarrif, and also suitable for export (we are already customers of Good Energy, who support this). We have an invertor unit for the wind turbine, but I assume that you would be unable to re-use that for a solar installation. We have other space for another invertor, if required. We would expect a 20+ year guarantee on the panels, and would like to know what degradation metrics you have. Would you be able to quote for this, or is more information (and a survey) required? Nobody was prepared for the government to stop subsidies for alternative energy as they did - i.e. OVERNIGHT. Even suppliers and installers had to go to considerable trouble to discover this was the case. So much for continuing until 2011!